Both Deuel and Garden Counties have community coalitions (youth and adults) with the purpose of reducing underage use of alcohol, tobacco and illegal drugs. 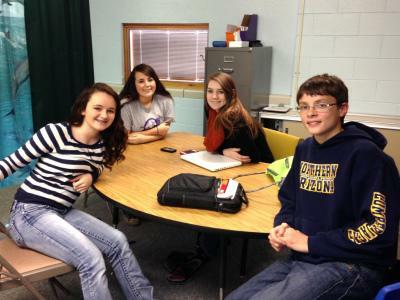 The coalitions meet monthly throughout the school year. The Deuel County Coalition and Garden County Coalition are a part of the Panhandle Prevention Coalition, consisting of the eleven counties of the Nebraska Panhandle. Volunteers of America Western Nebraska serves as the fiscal agent and offers oversight to the coalitions. Funding is from a Drug Free Community grant and Region 1 Behavioral Health grant. Data is provided by the Nebraska Risk and Protective Factor survey and other sources. The focus of the coalitions has shifted from individual strategies to environmental strategies. Environmental strategies are effective, efficient, sustainable and have immediate results. For example, if a two year old comes to visit your childless household you may place household cleansers in a locked location, put plastic protective devices in the plug-ins, and install a gate at the head of the stairs (environmental strategies). You would not roll a watermelon down the stairs to demonstrate a possible head injury, open the cupboard beneath the sink to display the cleaners and point out each electrical outlet saying no-no to the two year old (individual strategies). The human brain frontal lobe does not develop until the age of 25. It is through policies and enforcement that our youth are protected. Education and communication are also included in the environmental strategies. Garden County Coalition youth have promoted drug free athletics, encouraged building positive assets for all young people, sponsored student created media campaigns for the school and received national-level training in evidenced based interventions. Compliance checks and Responsible Beverage Server Trainings have helped to reduce sales to underage youth.